Class begins for me on Monday. And this isn’t even all of my required text books for this semester, I still have 5 more I need to locate, somehow. 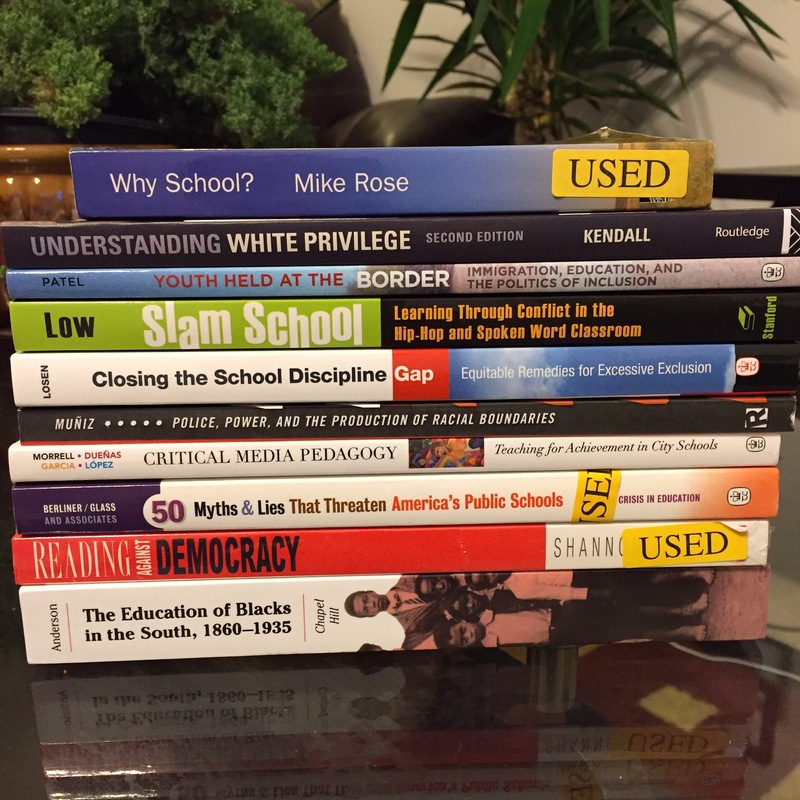 My classes are all pretty reading-intensive this time around (Research and Stats, Power, Privilege, & Education, and Literacy and Public Policy). I always tell people who would like to work toward a PhD that they’ll be writing most of the time, however, reading (especially writing about what you’re reading) is a close second place. Professors don’t want to hear about what you read but rather, YOUR ideas on what you read. Fortunately I always look forward this process in my classes, I have yet to get bored.